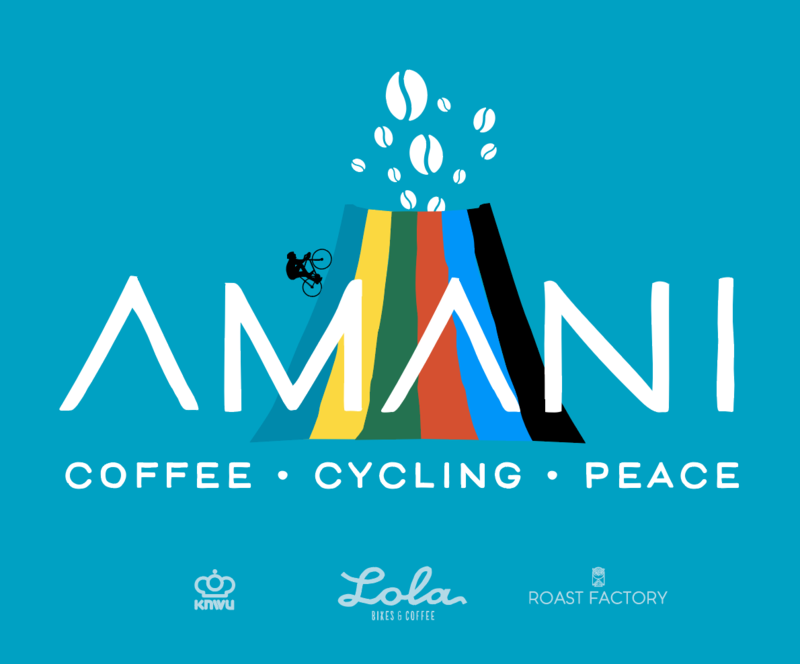 Local coffee farmers collaborating to create opportunities for local cyclists – that is the idea behind the Amani Project. Thanks to our friends at This Side Up we’ve managed to source the beans for the Amani blend directly from the Rwandan, Congolese, and Ugandan farmers. Cutting out the middlemen from the supply line ensures that the farmers receive fair market value for their high-quality specialty coffee beans. 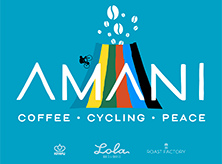 It also ensures that there is enough room left over for our Roaster and our coffee shop(s) to cover their costs while also being able to set aside two euros per bag for the cyclists. Together with the KNWU (Dutch Cycling Federation), the Amani Project aims to build (and expand) on the progress made with the Kampala Cycling Club and make smart and sustainable investments in the future of cycling in central and east Africa. We will be particularly focused on initiatives focused on women’s’ cycling. In addition to the Kampala Cycling Club, key partners will include Team Africa Rising and the Women’s Benediction Cycling Team. In the first two years, funds from the Amani Project will aim to provide training and racing opportunities to elite men and women from central and east Africa. These may include sponsored training camps at the Africa Rising Cycling Center or other training opportunities in South Africa or Europe. Depending on the funds raised, there may also be opportunities to send central and east Africans to UCI sanctioned races in the near future. In the longer term, our ambition is to increase access to the sport by looking into ways, together with the relevant cycling authorities, to develop fit-for-purpose training sites that are affordable, easy to maintain and provide up and coming talent with a safe space to ride. Discussions on this initiative are already underway and will be shared as soon as concrete details become available. In the meantime, drink up! and be a part of the change!! Vergeet 'single origin'! Lola betrekt haar koffie van een 'single farmer'! Zijn naam is Hernando “Meko” Gutierrez en hij een vierde generatie Colombiaanse koffieboer. 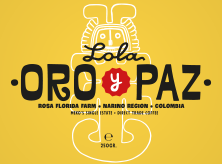 Alle koffie onder ons Oro y Paz label wordt direct gekocht bij Meko en komt rechtstreeks naar Den Haag vanuit zijn Rosa Florida farm. En dat vinden wij best cool. Thuis je eigen Oro y Paz klaar maken? Wij kunnen je leren hoe je zelf een expert barista wordt. 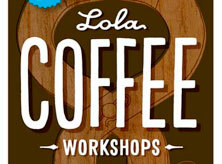 Lola biedt geregeld coffee workshops aan voor diegene op zoek is naar betere koffie thuis. Stuur ons een email en we laten je weten wanneer de eerstvolgende workshop is. Soms moet je er uit en je benen strekken. 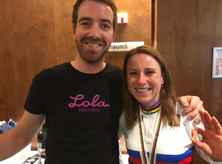 Of dat nu een lokaal criterium is of het UCI Wereldkampioenschap in Innsbruck, Lola neemt haar koffie mee on the road in de grote gele bus! Wil je ook Lola koffie op jouw event? Stuur ons een email.